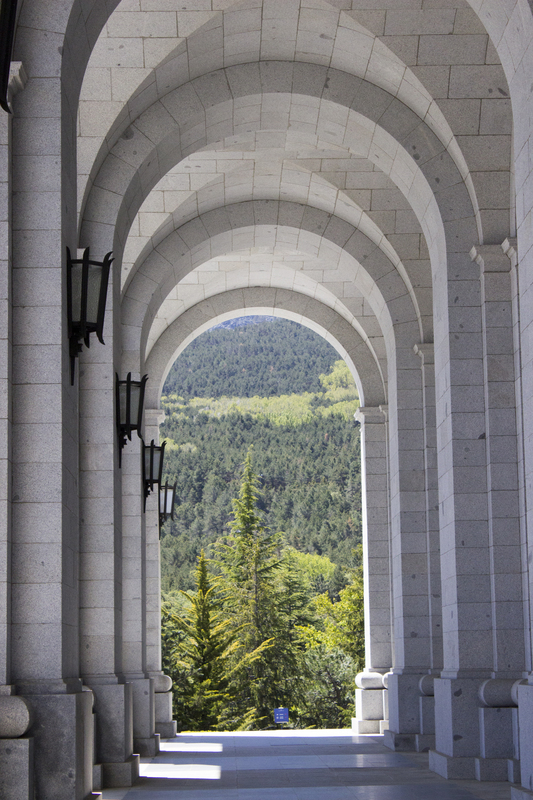 It is no secret that Spain has struggled to deal with its past. It should then be no surprise that little is made of a place some 60km northwest of Madrid midway between the towns of El Escoril and Guadarrama. There, an enormous cross stands in the middle of a giant pine forest. It’s quite hard to get there. Indeed, without a car, we would probably never have done so. This is the Valley of the Fallen. 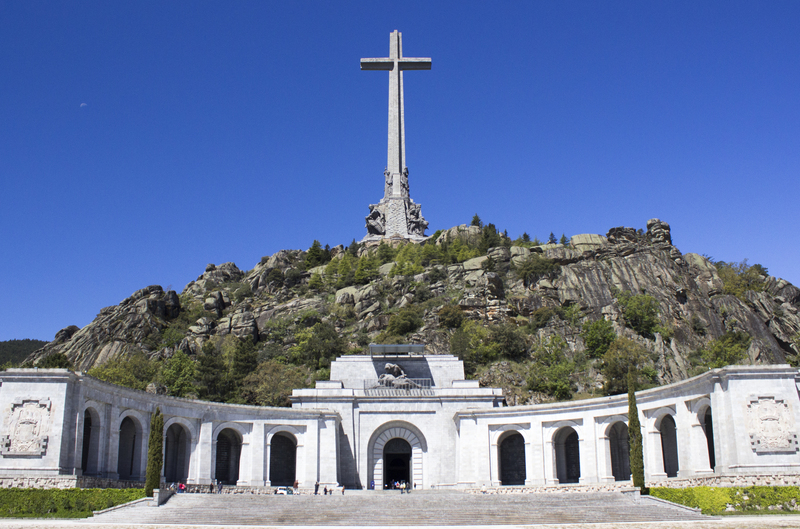 The cross and the carved figures at its base represent the monument to those who died in Spain’s bloody civil war between 1936 and 1939. At a very basic level it was fascism against communism, but in reality it was a very complex conflict. The cross can be reached by a funicular railway but when we visited (June 2013), it was closed. The footpaths in the hills were closed too. Apparently there was some restoration work going on with the statues and it made things pretty dangerous. There was no information as to when this might be completed which was a real shame. Underneath the cross is the cavernous Basilica which was hewn out of the rock. 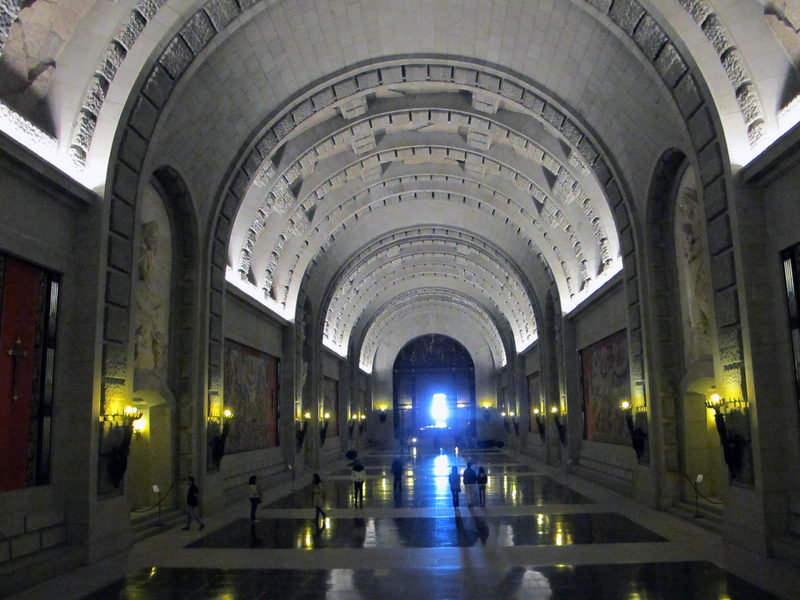 It’s like a massive cave which has been turned into a church. It’s a pretty controversial construction though as the manual labourers may or may not have been convicts. There seems to be no definite information about this but what cannot be disputed is the fact that many people died during the construction work. 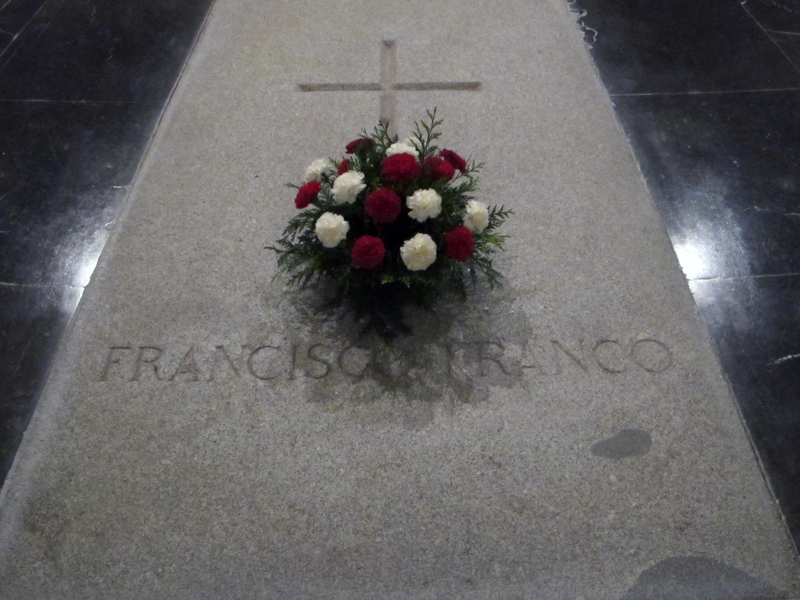 What makes it even more controversial is that the Basilica is the final resting place of Franco, the dictator who even today polarises opinion and is rarely spoken about. Photography inside was forbidden but a First Communion celebration was taking place and it seemed that the rules regarding cameras were being overlooked for the day. Lucky us!! There is a lot more information on Wikipedia if you want to find out more. For now, hopefully you will enjoy the photos and decide for yourself if it’s an excursion you would like to take. We are glad we went. Our one regret was not taking a picnic with us because the weather was perfect and there are plenty of open spaces where you can enjoy your lunch.